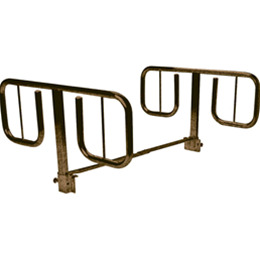 -For use with “Pan-Style” beds and Bariatric Beds (item #’s 15300, 15302 and 15303). -Ideal protection without confining the patient. -New and improved design prevents rail from shaking. -Provides maximum protection when bed is elevated. -For use with most manufacturers' beds.